Application: Add 2 scoops to the bath, manicure bowl or foot spa and soak for 5-10 minutes. Ingredients: Sodium Chloride, Sodium Bicarbonate, Sodium Sesquicarbonate, Caprylic/Capric Triglyceride, Hydrolyzed Milk Protein, Mel (Honey) Extract, Parfum (Fragrance), Coumarin, Limonene. Our classic Milk & Honey range provides superior hydration, healing and antioxidant action for dehydrated, dry, flaking, and sensitive skin. 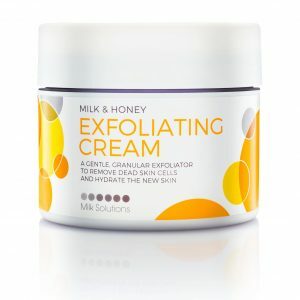 Whilst both milk and honey have their own benefits, it is the powerful combination of these two ingredients that is known to be the most beneficial to the skin – from treating acne and removing scars, to reducing the effects of aging, enhancing the complexion and making the skin glow. 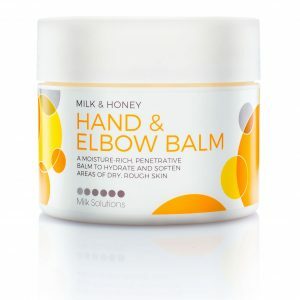 The range embodies all of the benefits of milk and honey in a selection of in-salon and at-home products that provide total care for the hands and feet. Amongst them is our legendary Heel Peel – the professional’s secret to the smoothest, softest soles.